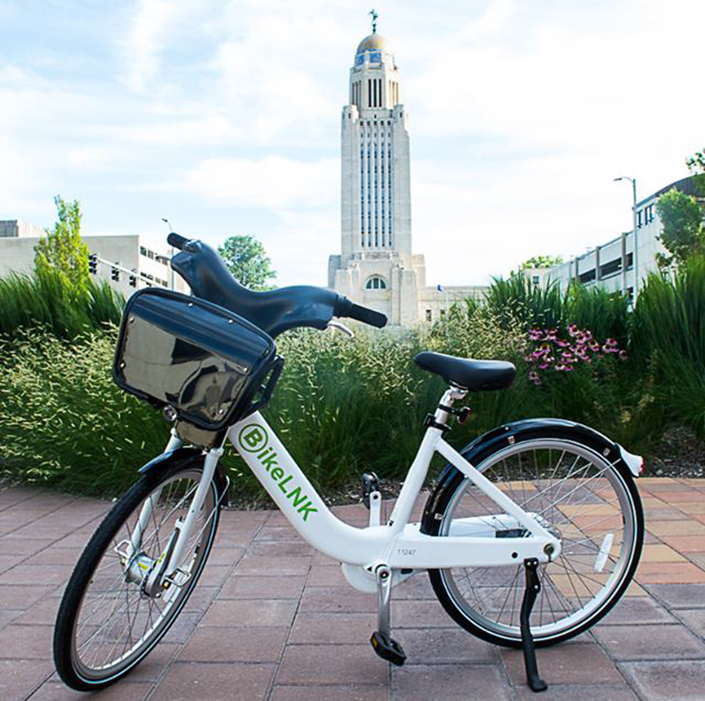 Bike LNK will celebrate its launch on April 6. From 4 to 4:30 p.m., a ribbon cutting ceremony will take place at the Lincoln Community Foundation, with a group bike ride afterwards. The ride will begin at the Lincoln Community Foundation and end in The Railyard for a launch celebration which will include music, booths and h'orderves. Jamie Granquist, City Manager of Bike LNK, said she anticipates around 150 riders for the launch as the group aims to have each of the available bikes taken out for the ride, plus participants' personal bikes. There are currently 19 bike kiosks in the Lincoln area, with 16 of them located downtown. "After the launch on Friday, we're going to balance the system that evening," Granquist said. "We want to have the system up and running by 8 p.m. The first weekend will just be responding to the system. Everything is possible." After Bike LNK's initial launch, the group will work to continually engage the Lincoln community through events, meetings and more. "We're keeping the word out there," she said. "Keeping it on people's lips so if they don't know about it, we want to know about it. And if they do know about it, maybe they can fit it into their life."